More Memorabilia Has Been Shared! Beverly Shelton, Sue Ewing and I were just out of the shower after gym when the fire alarm went off. Teachers were trying to hurry us out. The fact that we were still wet had no impact on them. We were told to wrap up and get out to line up on the boys basket ball court. That's right. Girls you will remember that most of those towels were both too narrow and too short. Who would be seen out there like that? We would never have lived it down. We didn't smell smoke or see flames so we had time. We decided to take our chances. We didn't know it was a bomb scare until later. Would it have made a difference? I really don't know. In the front of the photo is Dennis Querantes, how sweet to see these pictures.Brings back old memories. 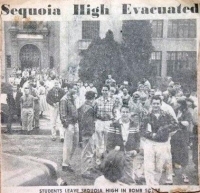 Did you know we were in the 63rd Sequoia Graduating Class? Our Sunday Picnic, Aug 22, will be at Flood Park - a park so many of us visited when we were teenagers. 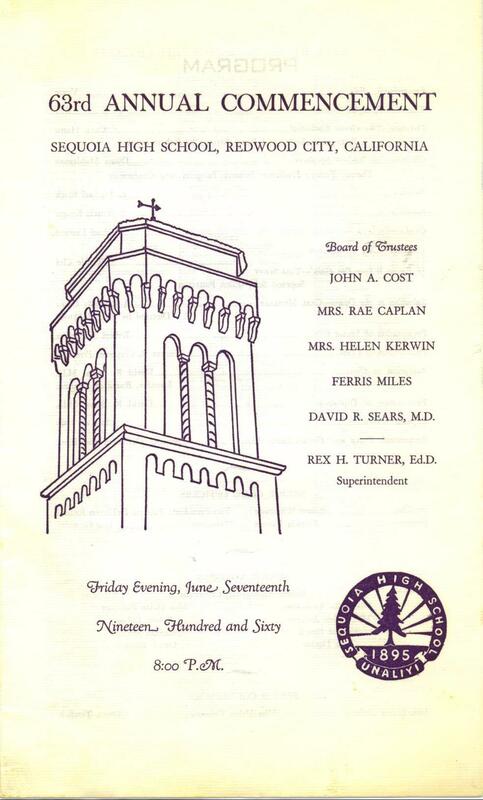 And we are inviting to the Big 50th Reunion any of our old teachers that we can find. See the Teachers and Coaches web page to learn how we are doing in finding them. Help us if you can. Can you identify the classmate in the photo with Ernest Patrignani? 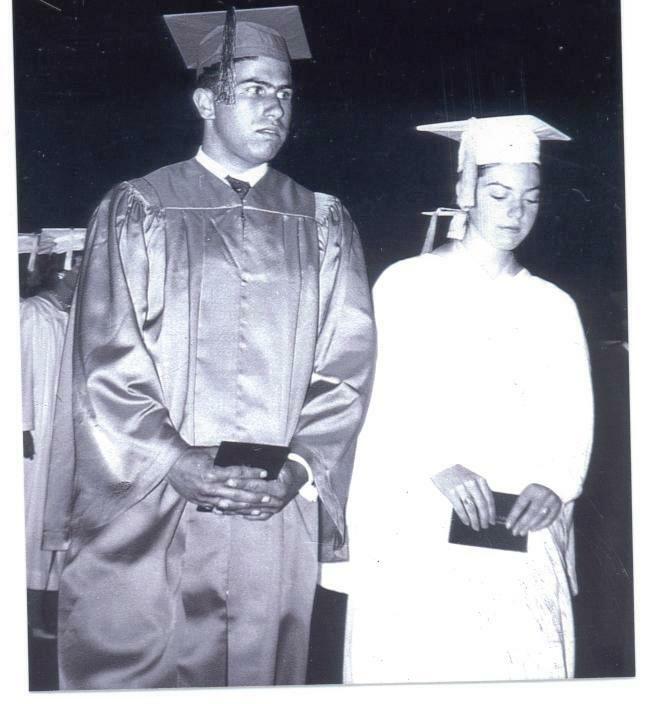 Ernest Patrignani would like to share this photo with the Classmate who walked in the graduation ceremony with him. Is it you? Do you recognize her? Please let us know. OUR 50TH REUNION IS THIS YEAR! !